Although state laws vary, the only way you might be able to avoid going to court to officially dissolve your marriage is if your divorce is uncontested. This means you and your spouse have agreed on a resolution of all issues, and you -- or your attorneys -- have committed the agreement to writing. You've both signed it. In some states, you can simply submit the document to the court along with an affidavit or a motion that corroborates certain information regarding your marriage and divorce. The exact procedure can vary from county to county even within the same state. For example, Virginia law lets you skip a court appearance, but the nature of the affidavit can differ depending on the county you filed in. In Georgia, you may be able to submit a motion with your agreement and avoid court in some counties, but in others you have to go to a hearing to finalize your dissolution. If your dissolution is uncontested and but your state's rules require that you must go to court to finalize your case, the hearing is usually brief and little more than a formality. Some states, such as Illinois, call this a prove-up hearing. Both spouses might have to attend, or only the spouse who filed the petition or complaint might have to appear. The judge may ask a few questions, such as whether you signed your agreement willingly and if you fully understand its terms. He'll then grant your dissolution if everything is in order, although in some states you may not actually be divorced until your judgment or decree is later filed with the court, usually a matter of a few days. If your spouse defaults -- he doesn't file an answer to your divorce papers or get involved with the litigation at all -- this is a version of uncontested divorce. It usually requires a hearing. You can file a request for a default hearing with the court after a prescribed amount of time goes by and your spouse does nothing. This hearing is usually uneventful, as long as your spouse doesn't suddenly decide he wants to be involved in the case after all and he shows up in court on the assigned date. You must typically give him notice of when the default hearing is scheduled, then you can appear before the judge on that date and submit a proposed decree that includes the things you asked for in your divorce petition. 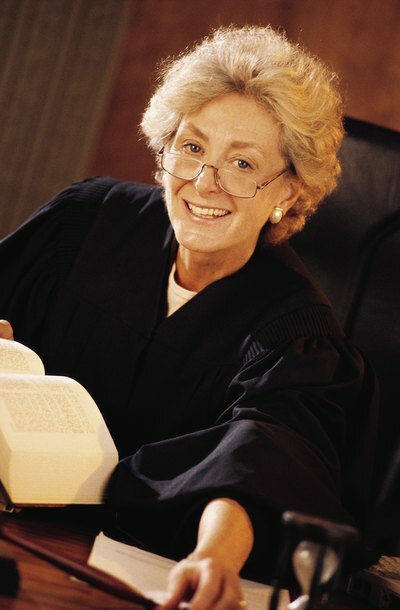 Generally, the judge will award it all to you because your spouse hasn't bothered to defend himself in the lawsuit. If your spouse contests your divorce in any way, even if the two of you can't agree on one small issue such as who is going to pay off a certain credit card, your dissolution must go to trial. If you disagree on several things, a dissolution trial can last several days. You and your spouse will both present evidence to the judge supporting your own positions, then wait for the judge to rule. If you don't reach an agreement, a divorce trial -- which often means a series of appearances over several days -- is unavoidable.